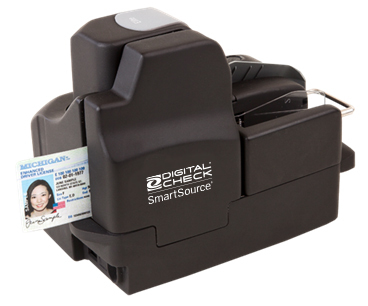 It’s a teller capture scanner with all the great features of the SmartSource Pro Elite series – only smaller and faster! Scanning speeds of up to 155 documents per minute, the new SmartSource Pro Elite has what it takes to handle any job in the branch, while remaining quiet and compact enough to be pushed into the field as a high-volume remote deposit capture scanner. The Pro Elite features a four-line inkjet endorser and is build for a teller environment and speeds of 75 or 155 documents per minute. 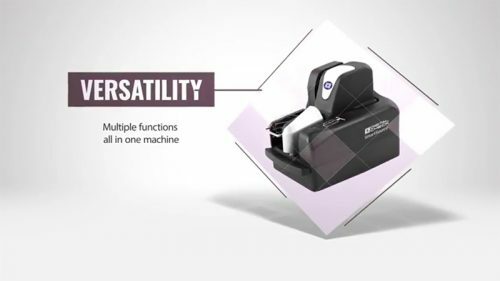 The Pro Elite series scanners are also available with optional UV capture for use in certain countries with speeds of up to 80 documents per minute in UV-capture mode. The SmartSource Pro Elite contains all the standard features of the SmartSource Professional series, at a rated speed of 75 or 155 documents per minute (DPM). For countries with Ultraviolet (UV) document security, the SmartSource UV Elite has an additional camera for capture in UV and optical light in a single pass with speeds of up to 80 DPM. A larger exit pocket now has space for up to 150 checks – half again as much as many competitors’ devices. This allows for the handling of folded, torn or otherwise imperfect documents that would otherwise cause paper jams in the exit path. The 100-item input tray opens easily, and contains built-in measures to prevent double-feeding.